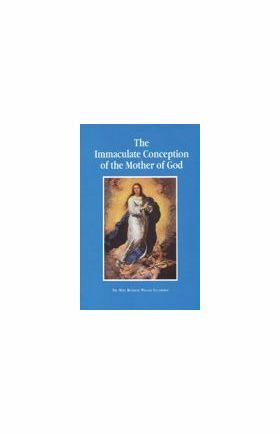 Composed by an Archbishop, this praiseworthy tribute to our Saviors holy Mother was actually written the very same year that Pope Pius IX defined the dogma of Our Ladys Immaculate Conception. 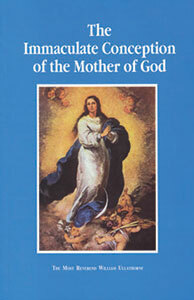 Beginning where all great works on Our Lady should, with her exalted office and dignity, the author educates the reader that he or she might see the congruity, even the necessity, of Marys divine prerogative in the eternal plan of redemption, and also see the Immaculata as the fulfillment of the highest possible degree of excellence God could establish in a creature, perfecting through her the crowning glory in the gradation of all being outside of God. Archbishop Ullathorne is not original, but masterful, in his explanation of Marys royal relationship with the angels as well as men, for she it was who gave the Incarnate God the flesh and blood by means of which all the elect achieved their salvation. A true gift of charity for a Protestant friend in search of truth!